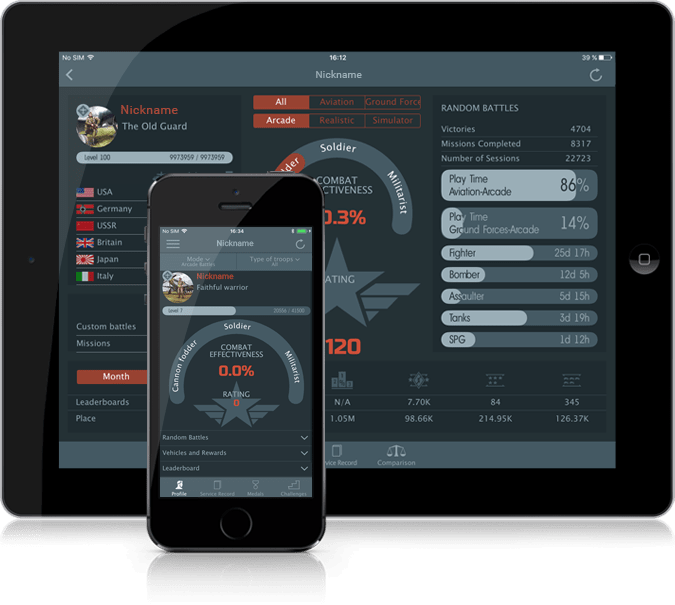 Keep in touch with your favourite game using our free application - War Thunder Assistant - the mobile app that helps you to stay up to date with the latest events in and out the game. With our app you can stay up to date with the latest news from the project, as well as discover innovations that will be coming to the game. War Thunder Assistant makes it possible to view the statistics of your account as well as any user's profile in the game.